Borchert Field: The Land of the Free, and the Home of the... Cards? The Land of the Free, and the Home of the... Cards? We all know the story, how the success of the Brewers coupled with the shiny-new County Stadium led the Braves to relocate from Boston to Milwaukee. But... what if Perini didn't move his club from Beantown to Beertown? What if another club just barely beat him to it? This is one of the great lost stories in baseball lore, almost forgotten today. 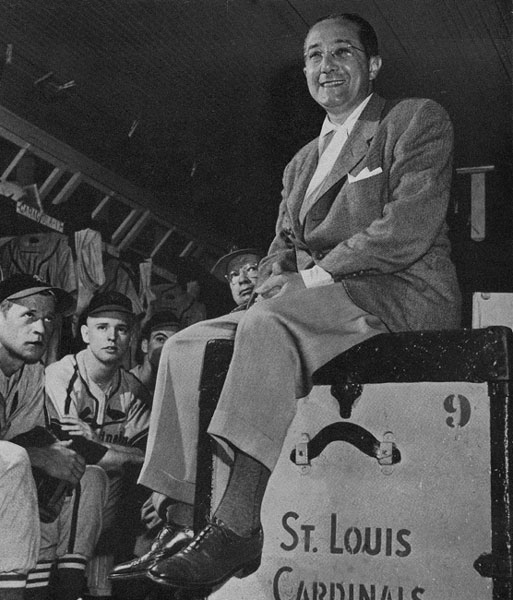 It's the tale of how the Cardinals almost moved to Milwaukee in the spring of 1953. St. Louis had long struggled to support both its clubs. The Cardinals were easily the more successful, but the Browns owned the ballpark that they shared. One would have to move, and when push came to shove real estate may well have been the deciding factor. St. Louis's bad situation came to a head on January 28, 1953, when Cardinals owner Fred Saigh pleaded "no contest" to two counts of income tax evasion stemming from his purchase of the club six years earlier. 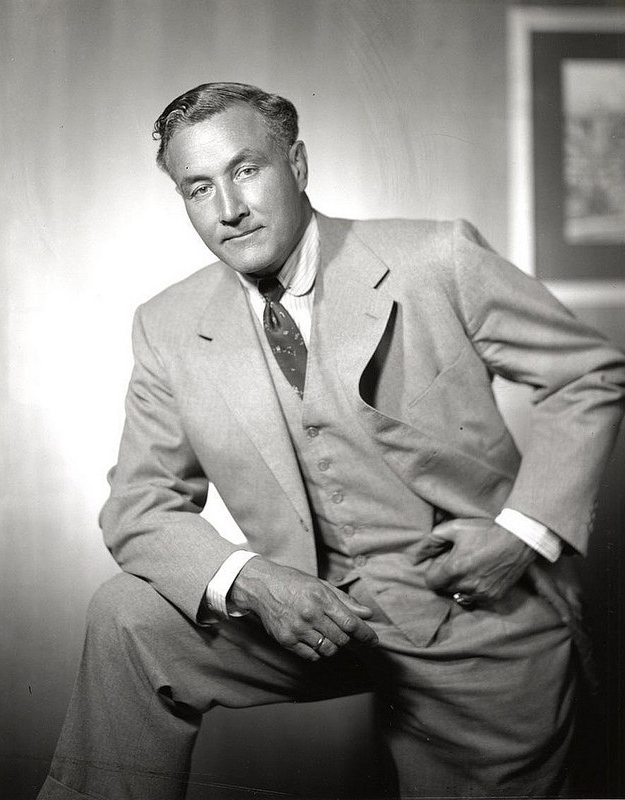 The National League quickly moved towards expelling him from organized baseball, and Saigh agreed to sell his full ownership of the Cards before serving his fifteen-month prison sentence. At the same time, just three hundred and twenty-five miles north, the brand new Milwaukee County Stadium was nearing completion. Workers were putting the finishing touches on the ballpark in advance of its planned April 15 opening, just ten weeks away. Ostensibly built to house the Brewers, the new "Milwaukee County Municipal Stadium" offered state-of-the-art facilities and nearly 30,000 seats. 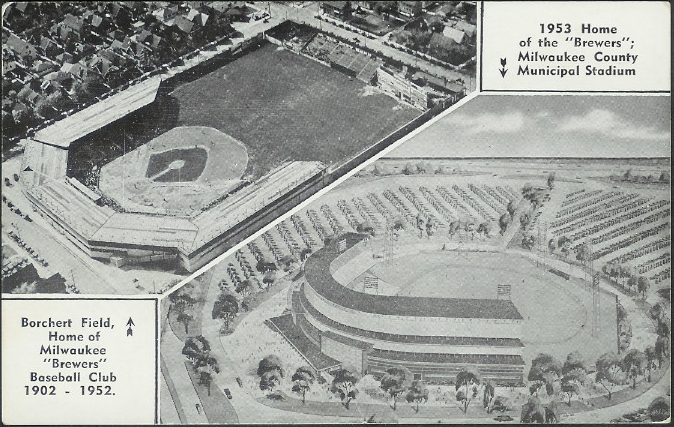 It was designed to put many major-league parks to shame, and openly intended to lure one of them to the Cream City. The Brewers would be its first tenants, but not for long. So the pieces were all in place. 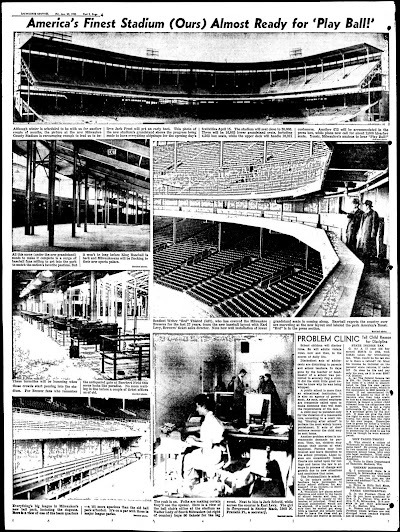 St. Louis had a baseball team in need of new ownerhip and a new ballpark, while Milwaukee was in a unique position to offer both. On January 30, 1953, local brewer and sports booster Frederick C. Miller told the Milwaukee Journal's R. G. Lynch that he had been offered a chance to bring the Browns to Milwaukee over the previous winter, but the move would not have included a majority ownership stake, which wasn't to Miller's liking. At the same time, Miller denied that he had been in talks to buy the Cardinals, but in reality they were far enough along that Saigh had already offered to sell the club to him. Miller had balked at Saigh's initial asking price of $4.5 million dollars, but negotiations between the two men were ongoing. 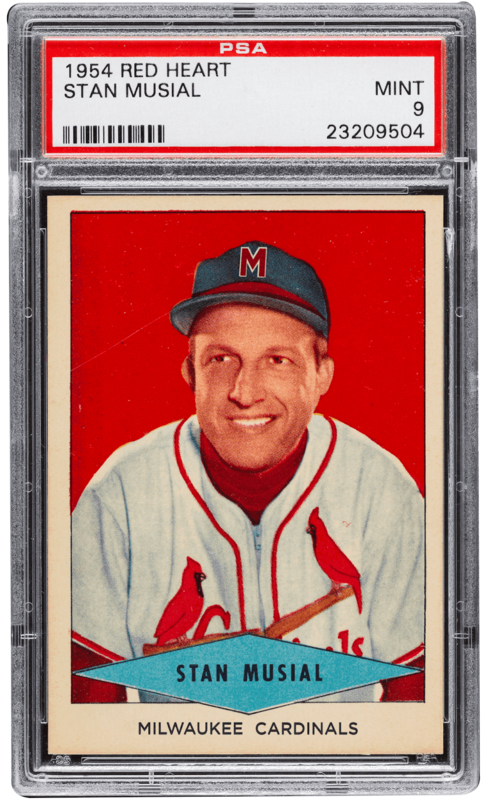 The Cardinals had other bidders, including groups from St.Louis and Houston, but Milwaukee seemed the favorite to win. At one point, front office employees were told that the organization would cover their moving expenses should they decide to move to Milwaukee with the team. In the end, Miller lost out when Anheuser-Busch bought the team. Saigh settled for less money—$3.75 million—to keep the Cardinals in St. Louis. 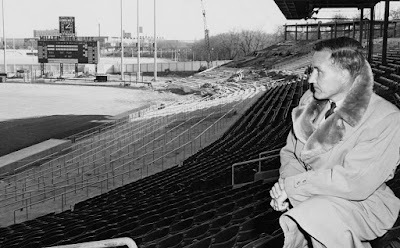 Browns owner Bill Veeck saw the writing on the wall, knew he couldn't compete with the beer company's deep pockets, and sold them the only thing his Browns had that the Cardinals wanted: Sportsman's Park. Veeck decided to move the Browns back to Milwaukee (where they had played from 1885 through 1901) but was foiled by Lou Perini, who still owned the Milwaukee territorial rights along with the Brewers. So the Cardinals stayed put in St. Louis. Veeck was eventually able to secure a home for his club in Baltimore, where they still play today as the Orioles. The Braves, of course, moved in to Milwaukee County Stadium themselves, and you know the story from there. The tale of the would-be "Milwaukee Cardinals" was quickly forgotten. Now, it seems likely that Saigh was just using Fred Miller and the other buyers in an attempt to drive up the price before selling to local St. Louis interests. And it's also very possible that Perini would have had the National League block the relocation even if Miller and Company were able to complete the sale, as he did with Veeck's Browns. But man oh man, think about how different the baseball landscape would be today had Stan Musial gotten his 3,000th hit in front of his hometown fans at Milwaukee County Stadium. Milwaukee Chicks 75th Anniversary Night!